Desmond's cousin turned 3 and she had a birthday to celebrate. Of course she's into princesses, so she wore a Cinderella dress during the party. 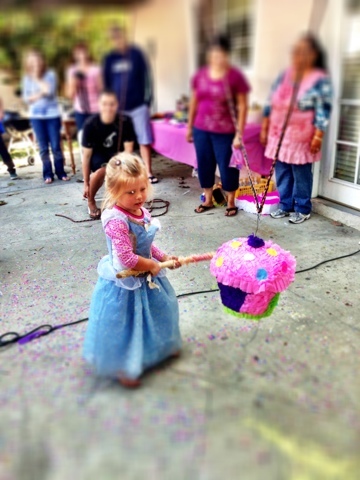 She must be loved because she had not one, not two, but THREE pinatas! Yes three! And the third one was a cupcake! Where can I get my hands on one for myself? 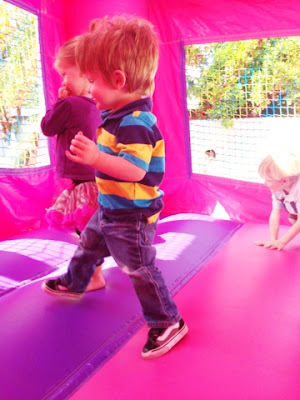 Des had a blast in his first bounce house. It wasn't easy for him since he just started walking a few weeks ago, but he didn't care. He loved it!